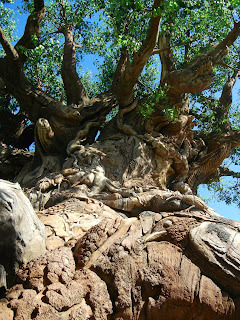 Kingdom Konsultant Travel Blog: Three Must See 3-D Attractions! Three Must See 3-D Attractions! We all know that Walt Disney World offers a wide variety of entertainment, from thrill rides and onstage performances, to 3-D attractions. You will never be bored on Disney property! While most 3-D movies at your hometown theaters can be impressive or leave you wanting more, Disney’s offerings of 3-D isn’t just a visual experience! Narrowing it down to just three must see 3-D attractions is hard for me. I’m always amazed at what Disney brings next and while 3-D has been around for a long time, there is always something new to make you jump out of your seat cheering for more. So what are my personal three must see 3-D attractions? 3. It’s Tough to be a Bug - Located in the Tree of Life in Disney’s Animal Kingdom, It’s Tough to be a Bug is full of spiders, beetles, butterflies and many other creepy-crawlies. No, not the real ones! Put on your Bug-Eye glasses and join Flick as he hosts the show. The audience members are now “honorary bugs” and get treated to meeting some of Flick’s friends. During this 8-minute show, sit back in your seats and relax while you will have some close encounters with hornets, stinkbugs and even Grasshopper from Disney Pixar’s movie A Bug’s Life. Be prepared for the special effects that include feel and smell. They may be surprising, but loads of fun! 2. 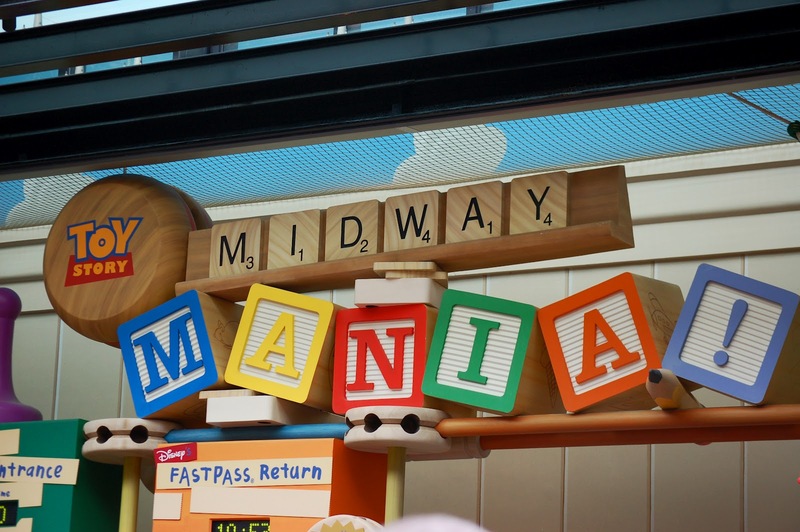 Toy Story Mania – Head over to Disney’s Hollywood Studios and down to Pixar Place to find this gem. Grab your 3-D glasses, board your 4-person ride vehicle and let the games begin! Toy Story characters will host different games that are fun for the entire family! Think your ride and games are done after that first scene? Nope! You will then enjoy several more games by going around a track to various scenes. From throwing pies and rings to bursting balloons and throwing eggs, keep racking up those points! Can you make it to the day’s leader board? 1. 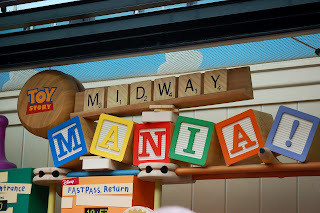 Mickey’s Philharmagic – Our last stop takes us to Fantasyland in Magic Kingdom. Take a seat and put on your Opera glasses and be prepared to be entertained! 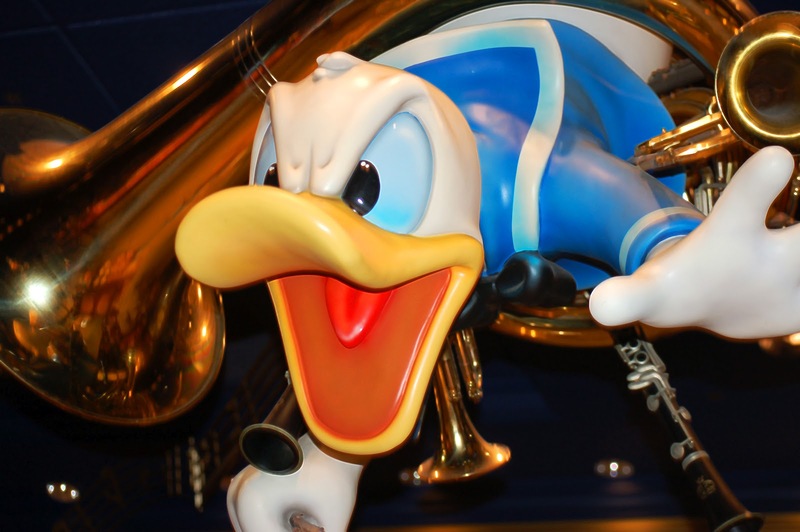 Donald Duck is told not to touch Mickey Mouse’s Sorcerer’s hat, but we all know that little guy doesn’t listen! So, he is taken on a whirlwind trip as he is transported into some of the most classic Disney movie scenes! He visits Ariel, Peter Pan, Aladdin and Simba just to name a few! As he is entertained by Lumiere, you can smell the pie. While visiting a scene in Fantasia, you are sprinkled with water. The scene in Neverland and Agrabah make you feel like you are soaring through the skies as you stare at one of the largest seamless screens in the world! These are the things that set this attraction apart from the others. Disney classics, new graphics and the special effects that this show brings, have me not only putting it at the top of this list, but the top of my favorites list in general! So, next time you visit the Mouse’s house, be sure to take part in each of these attractions. I assure you, you will not be disappointed! Is there a 3-D attraction that you cannot miss each Disney vacation? What is your absolute favorite?